Here at The Carp Hideout, we champion websites that aim to help anglers who are new to the sport. Carp fishing can be a very expensive hobby, with big ticket tackle such as rods, reels, bivvies and bedchairs often breaking the £100 barrier – EACH! We recently stumbled across Sling Your Hook Online – a website that offers anglers the chance to list used fishing tackle for sale , or exchange. More often than not, websites can seem far too complicated to navigate, are slow, or they just don’t work at all. Sling Your Hook Online is not only inviting for anglers – but everything is kept as simple as possible! You can quickly search directly for tackle from the homepage via a prominent search bar across the center. 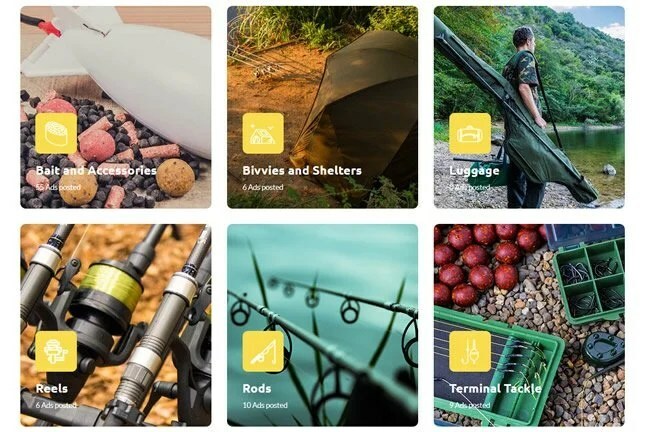 If you scroll down, you can jump straight to the most popular categories that includes rods, luggage, bait and terminal tackle. One particular feature that really caught our eye was the ‘location’ box. You simply select your county to find local anglers selling tackle. They could even be your neighbour! There are plenty of photos and fantastic detail such as whether it is new, or used and a description of the product itself. You can also share an ad if you think an angling friend would be interested on all the social channels. If you have fishing tackle to sell or exchange, or you’re looking to snap up a bargain – please do give Sling Your Hook Online a quick visit and tell us what you think! You could always sign up to their newsletter and receive updates on new adverts if you wish! We’re looking forward to many new and exciting features Sling Your Hook Online has planned for the future!